You can buy most things in life, but you can’t buy history or reputation. We are ‘Punch The Air’ and we’ve been together since 2012. If you look back at our accomplishments and testimonials you’ll see exactly what we’ve achieved over the years. Our number one priority is client satisfaction…..its not about us, its only ever about YOU. 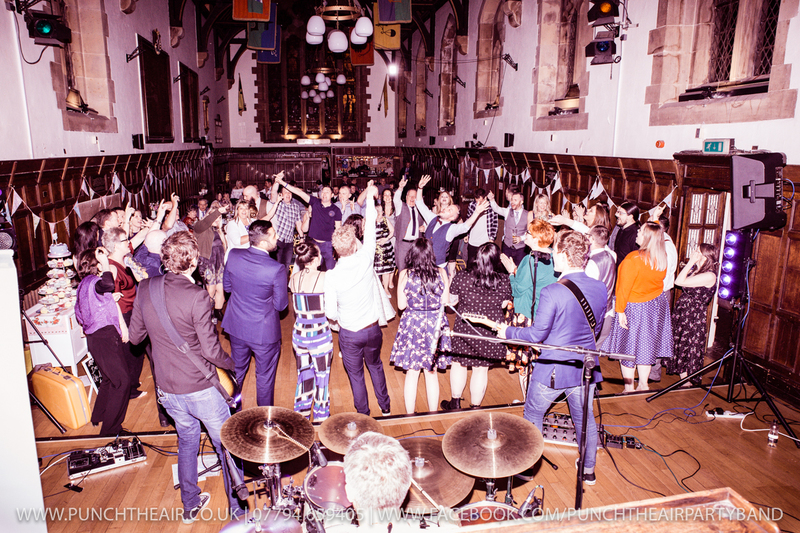 We are a three piece guitar based pop & rock wedding and live entertainment party band. As a group we have built up an incredible reputation from our thrilling live performances over the years we have been together. Big bold vocals with lovely vocal harmonies and powerful pop tunes are what we’re all about. We have a lot of experience in live music and handling crowds of many different sizes. 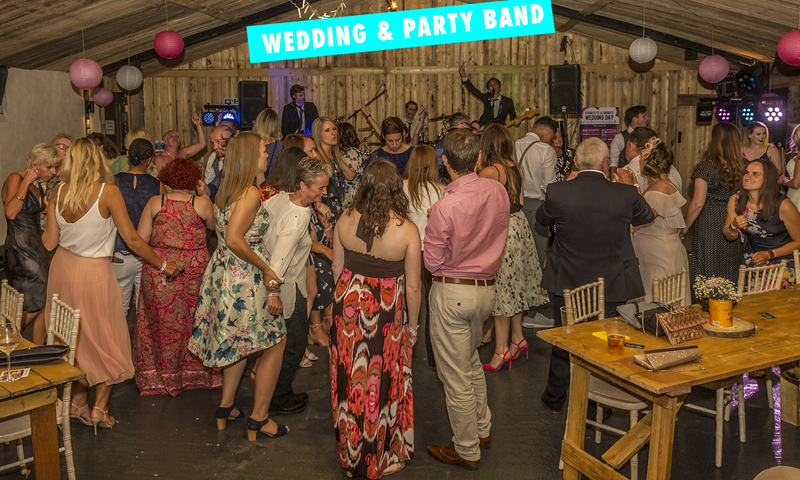 As you will see from our professionally shot videos here we know how to make sure everyone is enjoying your wedding or party, happily dancing the night away with us. 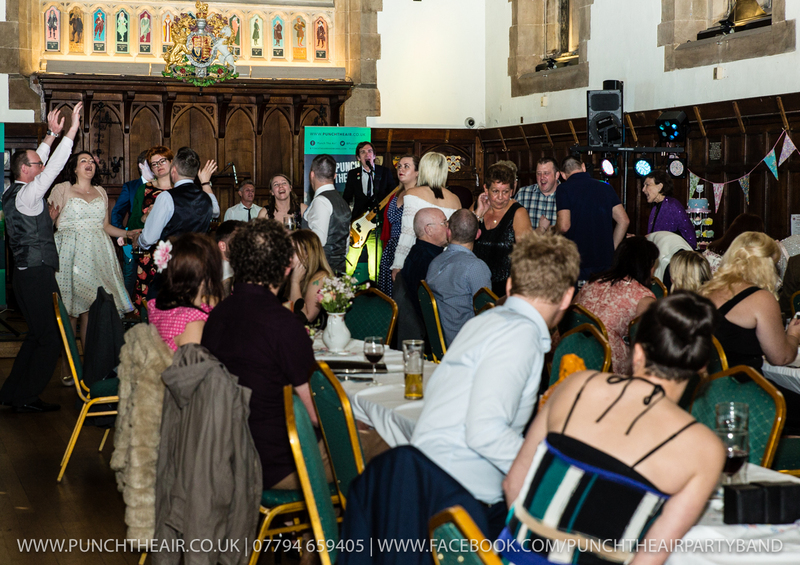 Live entertainment for weddings, birthdays, corporate events, fundraisers, university & college balls and parties. 60s – Beatles, Van Morrison, Monkees. 70s – Queen, Lynyrd Skynyrd, Undertones. 80s – Human League, Rick Astley, Beastie Boys. 90s – Oasis, Blur, Ocean Colour Scene. 00s (And onwards) – Kings Of Leon, Amy Winehouse, Killers. 2 x 45 minutes of live, upbeat & high-octane performances (Plus encores). A professional experience from your initial contact right through to when your event ends. State of the art high end PA system, sound desk and lighting rig. DJ services before, inbetweeen and after live performances so you can continue to dance the night away. Public liability insurance and PAT certification. A very competitive price that you’ll be hard to beat. So we’ve got you covered for everything you need live entertainment wise at your event. Prepare to have sore feet and a hoarse throat days after you catch us live. All you need to do now is get in contact with us here and let us know more about your live entertainment needs. You can also contact us through our Facebook page here.